Adding colorful throw pillows to your bed or couch is a super simple way to add a pop of color. 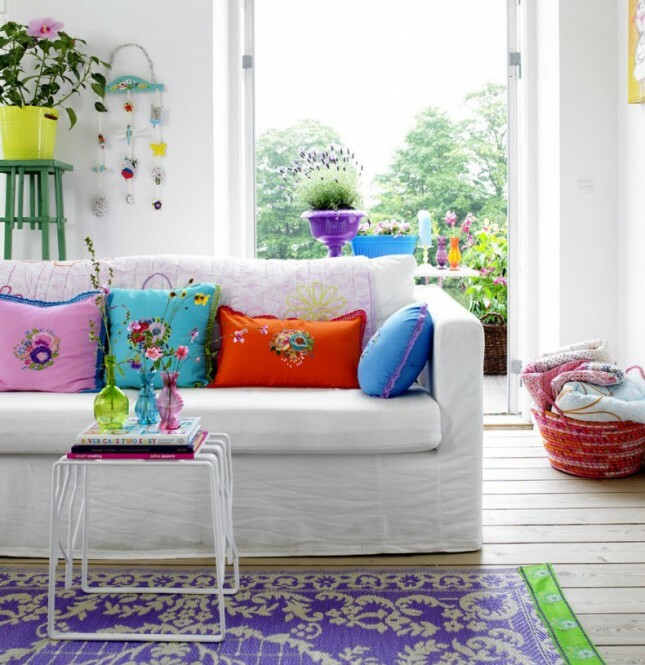 If your a little more adventurous, a brightly colored couch against a neutral wall can be a huge statement. A brightly colored wall display is a great way to bring attention to black and white photos. A brightly colored door is a perfect transition between rooms. 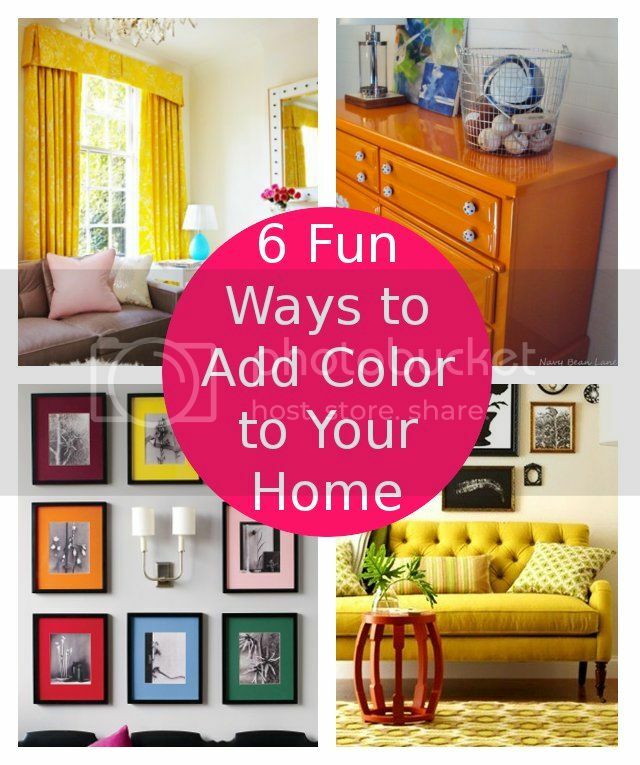 Make a statement by adding a pop of color to a simple piece of furniture. 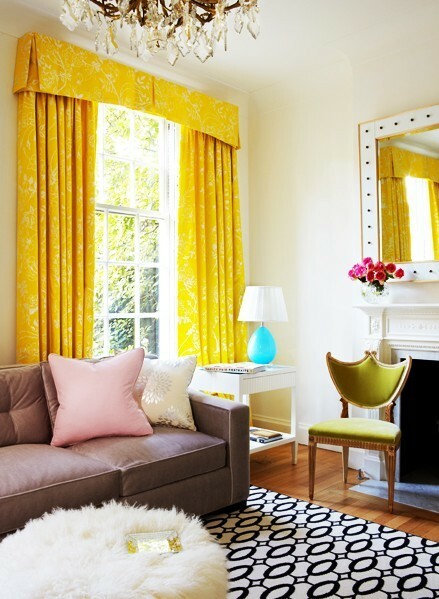 Bright colored curtains are a great way to brighten up any room.